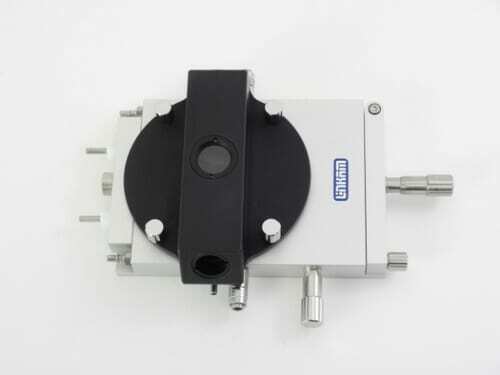 LINKAM THMS350V Vacuum System | EINST Technology Pte Ltd. The THMS350V stage enables the user to create low pressure environment during complex heating and cooling profiles. 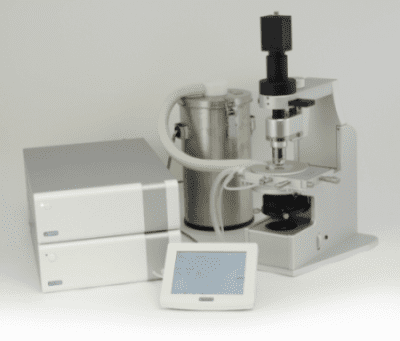 Pressure is measured directly on the sample chamber and displayed in software or on the T95-LinkPad LCD screen. 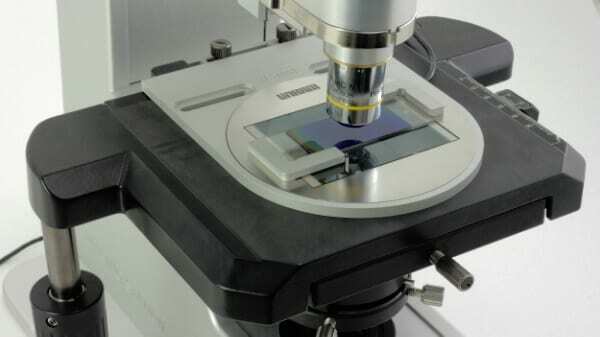 It is now possible to carry out ultra low temperature experiments with virtually no gas or air contamination of the sample. It is also possible to first pull a vacuum and then bleed in the desired gas. 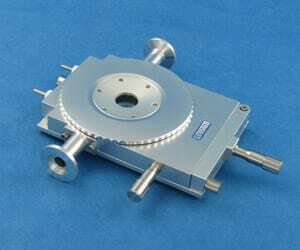 A prirani gauge can be supplied to relay the sample chamber pressure to either the LINK software or the LinkPad. By connecting the vacuum pump to the MV196 motorized valve, pressure can be quickly and accurately varied utilizing simple on screen software controls. To cool samples from ambient down to -196°C, add the LNP95 liquid nitrogen cooling system.